Five people received prestigious Begum Rokeya Padak 2018 on Sunday in recognition of their outstanding contributions to society and women empowerment. The award recipients are Zinnatun Nesa Talukder, Prof Zohra Anis, Shila Roy, Rauma Chowdhury (posthumous) and Rokeya Begum (posthumous). Prime Minister Sheikh Hasina handed over the medals weighing 25 grams of 18-karat gold, cheques of Tk 2 lakh and certificates among the winners and their family members at a programme held at Bangabandhu International Conference Centre (BICC). The Ministry of Children and Women Affairs organised the programme with State Minister for Women and Children Affairs Meher Afroze Chumki in the chair. Secretary of the ministry Nasima Begum red out the citations. Rokeya, a pioneer of women's liberation movement in the undivided Bengal. 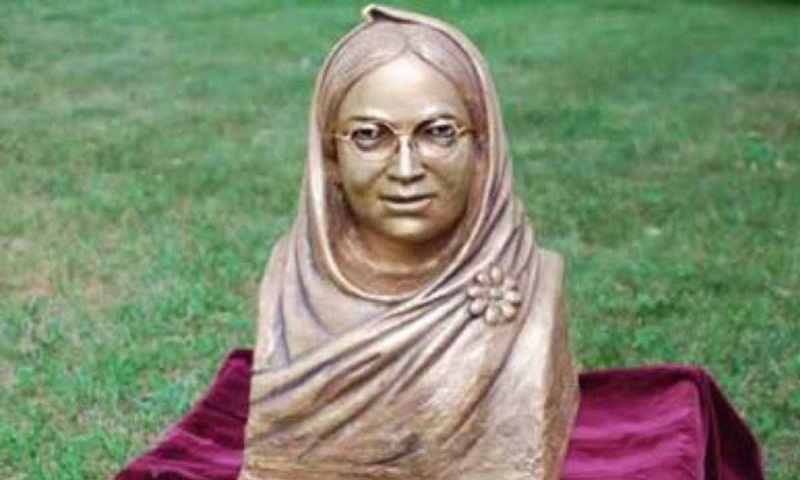 Begum Rokeya was a leading feminist writer and social worker during the early 20th century and famous for her efforts to establish gender equality and ensure female education.